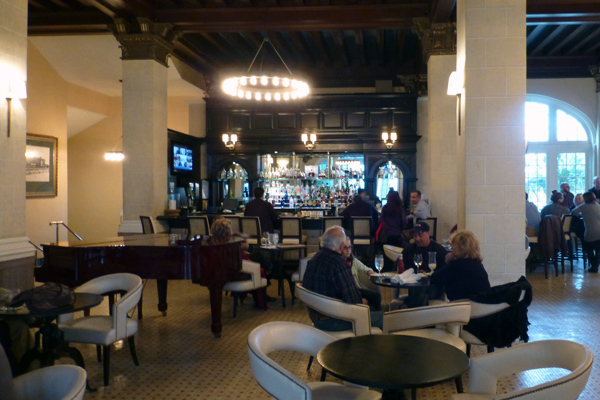 Over the holidays I had an opportunity to spend the night at the Hotel Galvez in Galveston. I had always wanted to visit that hotel. I love the view from the street; it has a driveway lined with palm trees that leads up to the stately building. As you can see from the photos below, it is a gorgeous location. 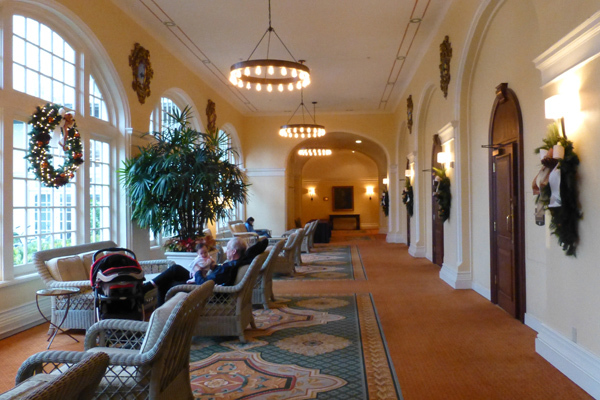 There is a sense of old world grandeur that is evident inside as well as outside the building. 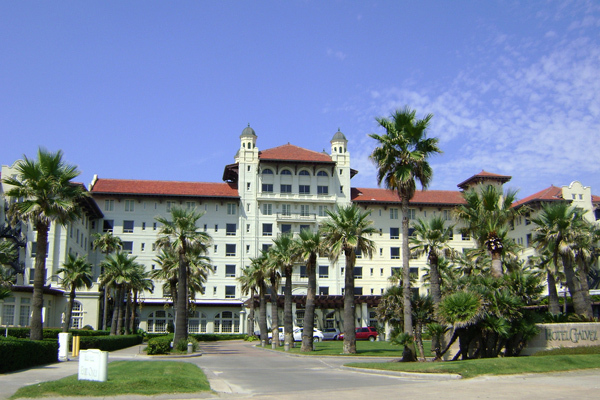 Located on the Seawall in Galveston, the historic Hotel Galvez opened in 1911. 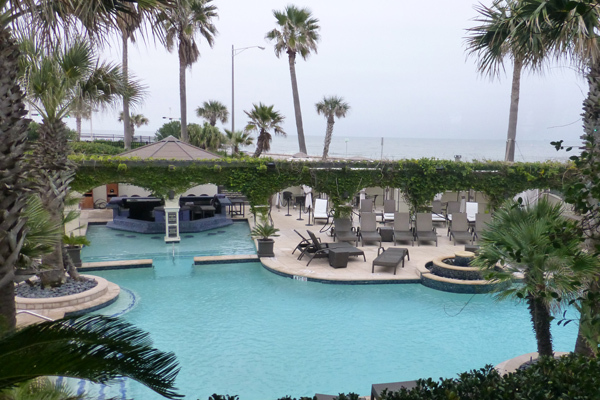 The hotel is named after Bernardo de Galvez, the Spanish colonial governor who first chartered the Texas Gulf Coast. 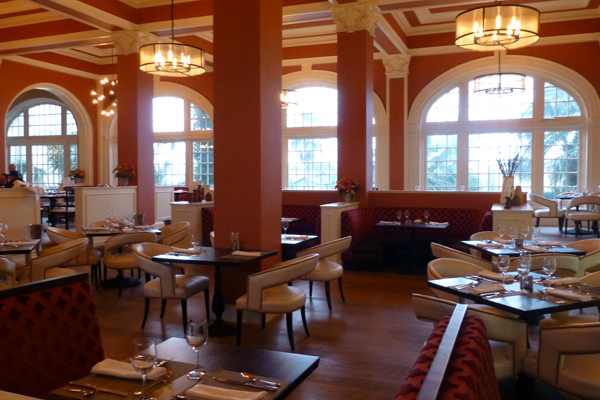 The hotel underwent an $11-million renovation and is a Wyndham Grand Hotel. 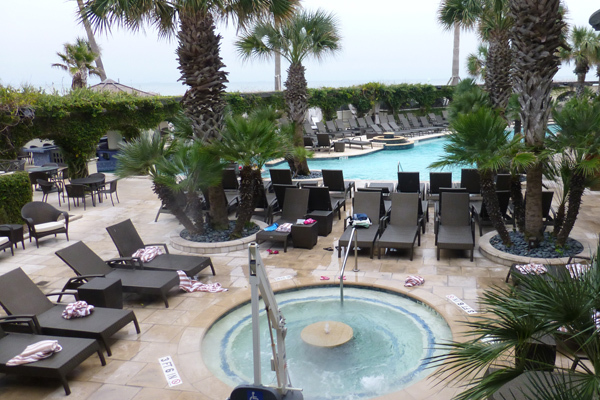 Despite the fact that the hotel retains a lot of its original historic atmosphere, it offers modern amenities including a world-class fitness center and spa services as well as a heated outdoor pool, complete with swim up bar. 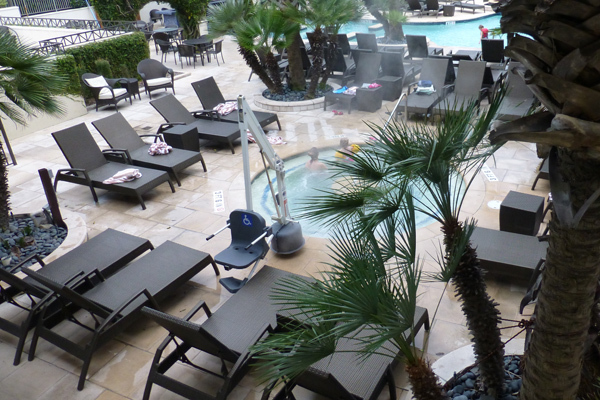 Even though it was 40 degrees out, there were those brave souls out enjoying the heated pool. 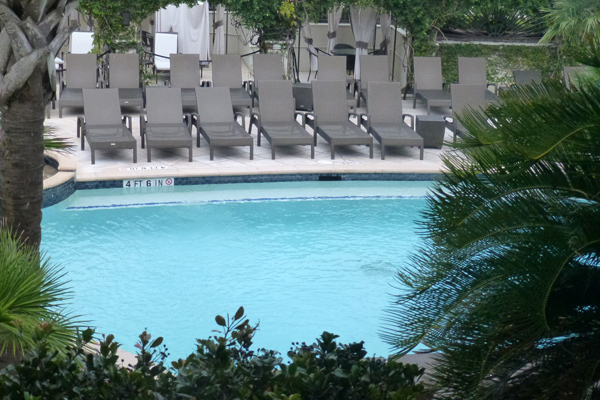 The hotel is definitely a destination location. The service was great. 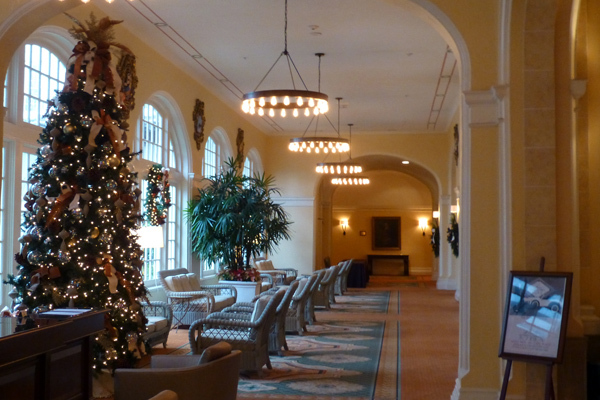 The hotel itself is a jewel. The atmosphere was wonderful. 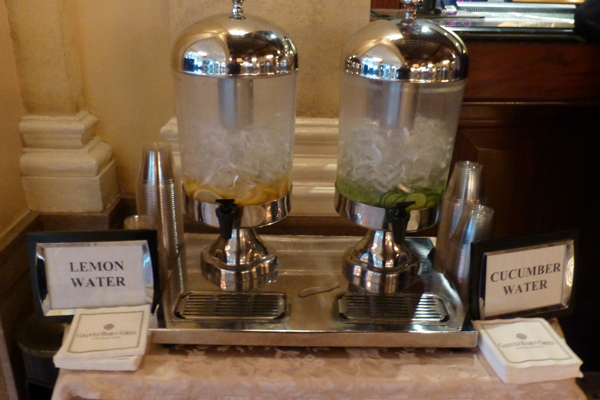 Yes, they offered lemon water and cucumber water in the lobby for guests. 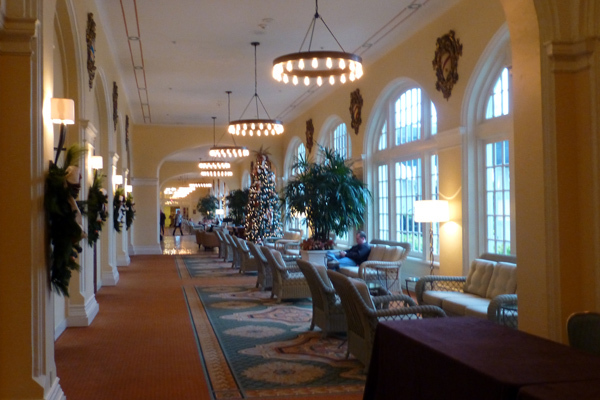 Hotel hallway on the first floor. 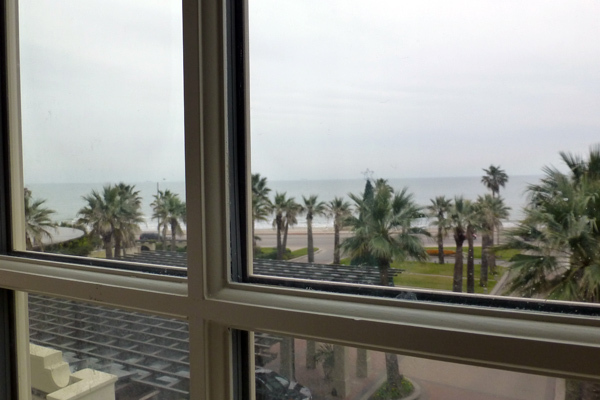 The windows have a wonderful oceanside view. See that there are actually people enjoying the water? Main photo above courtesy of Patrick Feller via http://www.flickr.com/photos/nakrnsm/3938922627/.